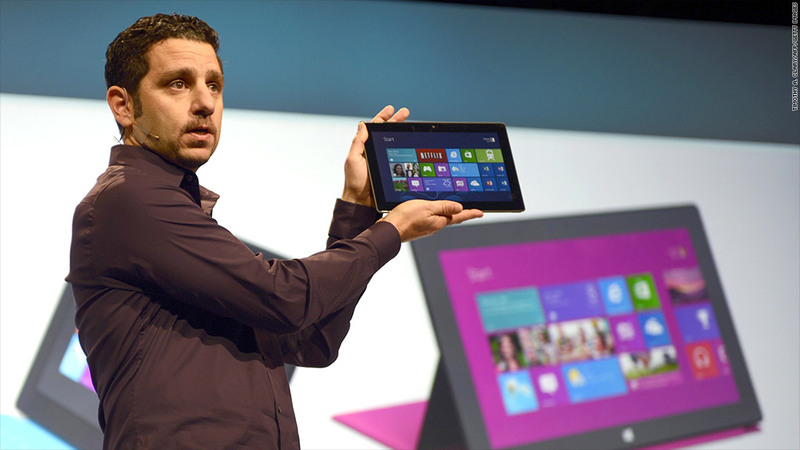 Panos Panay, head of the Microsoft hardware team that built Surface, showed off the tablet at a launch event in New York on Thursday. When it unveiled its Surface tablet, Microsoft pulled off something increasingly rare in the tech world: a true surprise. Even notoriously tight-lipped Apple (AAPL) can no longer keep details of its iGizmos from reaching the public ahead of the company's carefully crafted launch events. 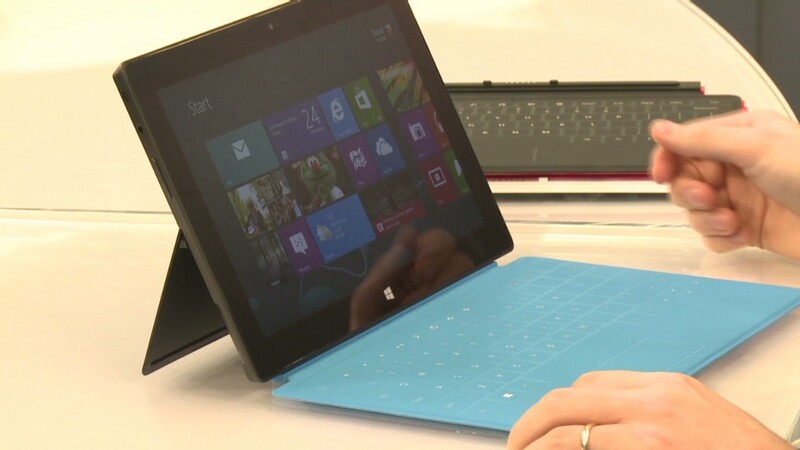 Microsoft (MSFT) knew that if Surface details leaked out, the consequences could be disastrous. For the first time ever, it planned to bypass its PC manufacturing partners and directly compete with them. Also, Microsoft was extremely late to the tablet game. Tipping off rivals like Apple could have set Microsoft back even further. That's why the company went to extreme -- sometimes painful and often hilariously excessive -- lengths to keep Surface a secret. The development team worked in a secured building dubbed "The Vault." When choosing a name for the team -- a Microsoft custom -- the group picked "WDS," an acronym that stood for absolutely nothing. It was the winner of a contest held to pick the most obscure, nonsensical name -- one that could never be linked back to Surface. "When people heard about the WDS team, everyone said, 'Tell us what it means!'" says Panos Panay, Microsoft's hardware chief. "I would say, 'exactly.' No one knew what we were working on." For more than three years, the only people in the world who knew about Surface were a handful of Windows developers, a smattering of engineers who worked on Xbox, and the "old" Surface team (since renamed the PixelSense) who built Surface 1.0: A tabletop touchscreen that Microsoft debuted at the 2007 Consumer Electronics Show. A short list of executives, including Microsoft CEO Steve Ballmer and Windows president Steve Sinofsky, were kept in the loop. The development was so top-secret that Microsoft had to convince suppliers to send it parts without spilling any details about the device. Mike Angiulo, Microsoft's head executive in charge of dealing with hardware partners, said he wouldn't order multiple parts from the same vendor if those components could conceivably be linked to the development of a tablet. Though the team built a camaraderie around the secrecy, it wasn't always easy for Surface group members to keep their lips sealed. "The most exciting day for the team was June 18" -- the day the Surface was unveiled -- "because no one could even talk to their families about this before then," Panay said. Surface was hatched several years ago, when Sinofsky and Panos began discussing ways to showcase the best of Windows 8. Microsoft was taking a radical step by launching a completely redesigned Windows, and Sinofsky believed that Microsoft needed the best hardware possible to show it off. "There was no ambiguity in the message," Panos said. "We had to deliver. There were some tradeoffs we had to make along the way -- that happens with any product. But there was never any debate that this was something we had to get done."